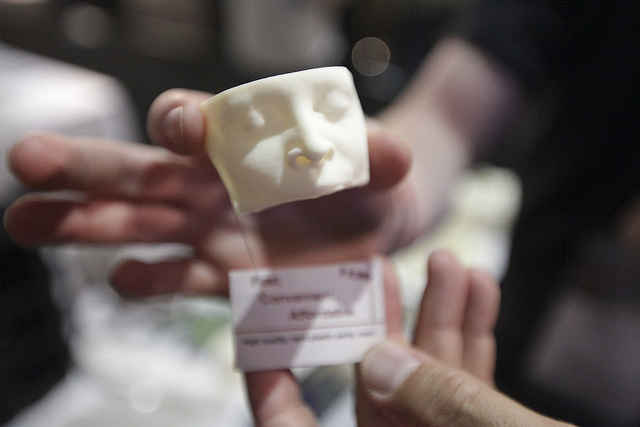 3D scanning and 3D printing have never been more accessible. Lo-fi methods have brought the technologies to the masses with mobile apps and self-replicating 3D printers, bringing the costs down dramatically. Though consumer 3D printing and 3D scanning is mostly confined to the hobbyist space, the involved technologies are taking the manufacturing world by storm. The ability to print a prototype part in a matter of minutes or hours has totally changed the scope of prototyping, and 3D scanners are integral to the whole process. 3D scanners are used in multiple places in the journey products take from design to prototype to production. During design, 3D scanners and tracking arms are used to digitally capture existing parts for the purpose of reverse engineering or altering the part. During prototyping objects are 3D scanned to check the quality of the print and to make sure the printed object is fit for purpose. During production 3D scanners and trackers are used as a form of quality control before the product is sent to the end user. As 3D printing at home becomes more and more popular consumers will increasingly utilise 3D scanners to aid their projects. 3D scanning can be used to capture the negative imprint left by a missing part on a machine or to scan an existing but broken part. Users can then take this model into a CAD program and create a complete model of the needed part, allowing them to 3D print an accurate, fit-for-use spare part. A number of shoe manufacturers are now utilising 3D scanning and printing technologies to produce bespoke shoes which fit your foot perfectly. A 3D model of your foot is created from the scan and fed into software which 3D prints a personalised shoe with contours to match your foot, leading to less strain on ankle and knee joints, less rubbing on the foot and improved gait. What was once the domain of elite athletes is now available to consumers thanks to 3D scanning and 3D printing technologies. Such ‘personalised’ clothing is set to take off in other clothing sectors too, leading to better fitting clothing at a fraction of the cost of traditional tailoring methods. Manchester Metrology Ltd is an industry leading supplier of 3D Scanners and 3D Trackers and other metrology equipment. Manchester Metrology stocks a wide range of 3D scanners including the FARO Edge, FARO Arm and FARO Focus. In addition to their vast FARO expertise, Manchester Metrology advises and supplies clients with other top metrology equipment, including the Romer Arm and Einscan pro. Customers can purchase a wide range of accessories and spare parts for their laser probe equipment and also offers a range of gauges for accurate calibration. Manchester Metrology can provide training for a variety of common metrology software packages including Geomagic, CAM2 Measure 10, Polyworks and Delcam PowerInspect, and its expert technicians are always on hand for advice and queries. To book a free demo click here, or to find out more about Manchester Metrology and its services click here.